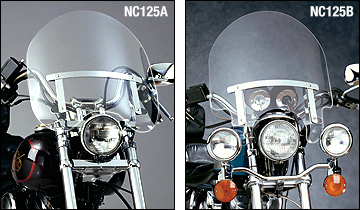 For that custom look at a very affordable price, nothing beats the National Cycle Dakota™ Windshield. It gives a custom look to bikes with exposed fork tubes. The Dakota 3.0™ comes complete with our patented variable width/diameter fork mounts, and is available in two styles for high or low turn signals. 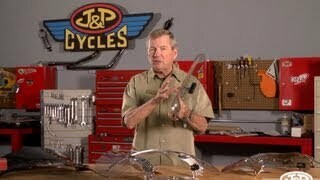 The Dakota 3.0™ Windshield gives a custom look to any bike with a narrow glide front end. The patented variable width brackets and adjustable diameter fork clamps are included with the windshield. Available in short or tall sizes and two different profiles for bikes with or without our N935 Spotlight Bar. The Dakota 3.0™ is made from 3.0mm thick High Impact Acrylic and comes complete with all mounting hardware. Get a custom look and great wind protection at a budget price. 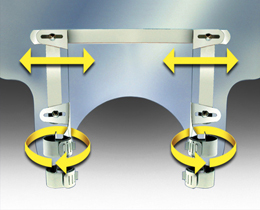 Variable width mounting brackets and and adjustable diameter fork clamps accommodate 32mm through 41mm fork diameters and 6.90" to 9.65" c-to-c fork widths. 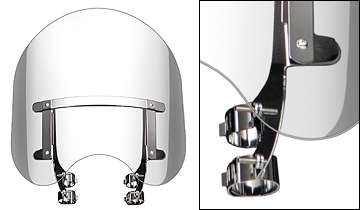 Dakota 3.0™ Windshields are made from DOT approved 3.0mm High Impact Acrylic with chromed steel hardware. 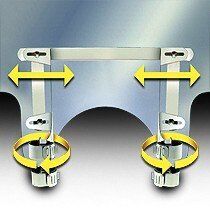 All mounting hardware is included with the Dakota 3.0 Windshield.